I met Craig Hepburn after his panel session at the ad:tech conference. Craig is on the speaker circuit, being regularly invited to share his hands-on experience in digital/social media, web 2.0 and virtual worlds. I catched up with Craig last week in London. In the last three years, Craig has done a tremendous job at STA Travel: Craig is the in-house web 2.0 evangelist, and he successfully helped his company launch many web 2.0 initiatives. Craig is also a fellow blogger, please check his blog http://forwebsake.blogspot.com. In his blog, Craig shares his passion for innovation and his thoughts on topics such as Web TV, Virtual Worlds or location based technology. adtech London 07 was an excellent event. Congratulations to the adtech team. I met Mark Rogers after the session about Monitoring Consumer Conversations Online. Market Sentinel helped Avis, the leading car rental company in the UK, to launch their blog WeTryHarder in January 2007. Avi's main goal for the blog is to engage with its customers and provide the best customer service. There is a similarity with the heavily regulated banking industry, and the risk of brand damage. Indeed, the car rental industry has been subject to bad press in the last couple of years. Xavier Vallee, Head of Marketing at Avis UK, proudly admitted that Avis put themselves in the line of fire. Avis wanted to give their customers the chance to express themselves, they wanted to create a dialog. Xavier and his team make sure they respond to every comment, positive and negative. Being sincere, honest and showing that you listen can help you not only win back an angry customer but turn to a brand ambassador. Avis approach, with the help of Market Sentinel, is excellent: not only they make sure to respond to every comment on their blog (they have over 300 comments to date) but they also engage with influential industry bloggers, and they proactively browse forums. They surely got inspired by Dell or Sony. Avis even won an award with their blog: SOCAP Award for innovation in Customer Service. A blog is an excellent medium to engage with your customers, as long as you make sure you respond to your customer comments. But how do you show you understand your customers? How can you respond? How can you measure success? A couple of hours after posting my first article on the adtech event in London, one of Erik Hauser's colleagues contacted me to arrange a meeting during the conference. And what a pleasure to meet Erik and shoot a video interview with him. Erik is one of the top experts on the topic of virtual worlds. He helped Wells Fargo to launch its Stagecoach Island project, initially on Second Life, back in 2004/2005. And Erik is the founder of the Experiential Marketing Forum which counts over 4,000 active members. Erik's presentation was extremely dynamic and it made a big impact on the audience. As a bank, you may want a presence on a virtual world to educate youth, change the perception of the bank or hire people. I met John-Paul at the adtech event in London. JP is the Content Manager of Join2Grow, the social network for European entrepreneurs launched by Fortis earlier this year. JP works for Catherine Ossemerct. In that inverview, we focus on the content of the site and JP explains how Fortis manage to engage its members. JP shoot video interviews, and since phase 2 they organize online events with a "live chat" feature. If you are an entrepreneur, or if you know an entrepreneur who would be a good candidate for a video interview, please do not hesitate to register on Join2Grow.biz and get in touch with John-Paul. I got in touch with Catherine back in July. We have exchanged our thoughts on social networking and the innovative platform Fortis launched back in February 2007, Join2Grow.biz. Join2Grow is a social network for European Entrepreneurs. I invite you to check my first post on Join2Grow and my post on phase 2. By the way, on Tuesday 26th September, they released the phase 3: the platform now offers a forum feature to its members. During our conversation, Catherine explains Fortis strategy and goals for Join2Grow and she gives a few statistics about the website which counts now over 2,000 members. Please remember that they target a very specific audience: the number of members is limited and so is the risk of brand damage due to bad comments and User Generated Content. One of the key benefits of attending adtech was the opportunity to meet with my peers and renowned experts. On the second day, I managed to talk (one-to-one) to over 20 people again. I met some delegates from the following companies: Revolution, ebuddy, oddcast, otolabs, hitwise, intel, CapitalOne, eMarketer, Fortis, Yahoo!, ElmarReizen, tripadvisor, foviance, C2C, STA Travel, Swivel media, IBM. Before executing a Web 2.0 project, it is important to clarify your objectives. What is your goal? Does it really make sens to launch a blog, a social network, or an island in Second Life? The first session I attented was entitled Online Communities as a Marketing Tool. It was about FirstChoice and its social networking platform, 2wentysworld.co.uk. At the end of the session, I had a good chat with Paul Clark, Product Manager at FirstChoice, and Jack Fairhall, CEO of Kwiqq.com, who I plan to interview soon. 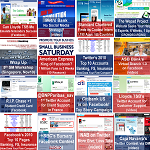 * Before launching a new social network, make sure it is the right thing to do for your bank. What do you want to achieve? Would a blog be more relevant? Are the people you are targeting already using other social networks such as Facebook or MySpace? If so, why would they spend time on another platform? * No need to reinvent the wheel, if possible leverage an existing platform. People are used to comprehensive and intuitite interfaces with the likes of Facebook or MySpace. It could be risky to offer them a far inferior service. Try to identify companies which provide a white label offer based on their robust platform. * With the help of your web agency, identify and prioritize the list of key features you want to offer. Distringuish the nice to have from the must have. For instance, it is critical to provide an advanced member search feature. * Launching a new platform is not difficult, the real challenges are first to grow your member base and then to engage your members. Today, I attended my first adtech event as a member of the Press. What a busy and productive day: I pretty much didn't stop meeting people from 9:00am to 6:00pm. As a kick off, most delegates attended the keynote session. Alan is a good speaker, and after starting his speech with his Philippines story, Alan talked about his vision of Marketing 2.0 and he reminded us about several successful online marketing campaigns such as Dove's "Campaign for real beauty", Amex's "The Members Project", Lloyds TSB's "For the journey", Vauxhall and Pontiac's viral marketing campaigns. Tracking 3,000+ accounts in 70+ countries. 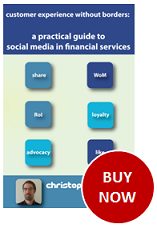 Jeffrey Sampson on Order Your Copy of "Customer Experience Without Borders: a Practical Guide to Social Media in Financial Services"